hree amateur archaeologists recently discovered the biggest stash of Viking gold ever found in Denmark. At 900 grams (1.948 pounds), the stash is comprised of seven attractively made bracelets. Six were made out of gold, and one was of silver. The silver piece weighed around 90 grams. The Sønderskov museum was very excited about the bracelets, which were recently handed over to them. They date back to 900AD, and are decorated in a style typical of high-class Viking jewelry. They were found by Poul Nørgaard Pedersen, Marie Aagaard Larsen, and Kristen Dreiøe, who created the amateur metal detector club “Team Rainbow”. 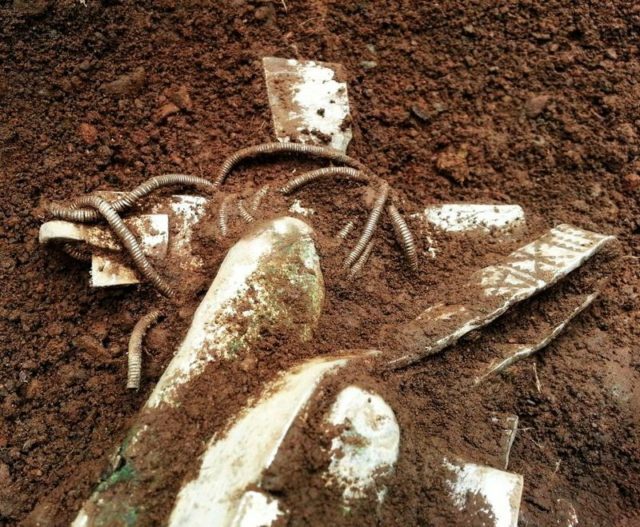 They discovered the bracelets in a field located in Vejen. The three will receive compensation for the find before the museum puts the artifacts on display. The museum had previously considered searching the field for artifacts, as a 67 gram gold chain was discovered there in 1911. A spokesman for the museum said the recently discovered bracelets were likely related to this chain. Peter Pentz of Denmark’s National Museum said, “To find just one of these rings is huge, so it is something special to find seven. 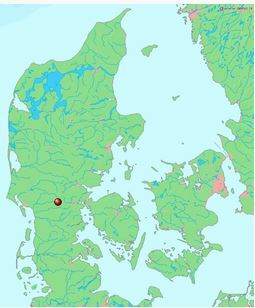 The previous largest find of Viking gold was made in Jutland, and weighed 750 grams.